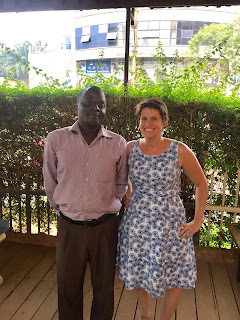 I had planned to do some blogging about my Luganda learning experience while I was in Uganda this summer -- after all, I really enjoyed the opportunity to reflect and take stock of my progress when I blogged last summer. But somehow time just whizzed on by, and the next thing I knew, I was on a plane bound for the United States. However, there are a couple highlights from the summer I want to capture here, partially as reflection and partially to set the stage for my language learning this year. I was unsure if my language school would place me with the teacher I worked with last year or with another teacher, and I was sort of surprised to find myself matched with Simon. Simon is my language mentor during the school year, via Skype, but not someone I'd ever worked with in person. I wasn't quite sure how it would go, but he did a great job of checking in with me about my goals for the summer and designing our time together based on those goals. Spending 20 hours a week in a one-on-one setting really creates a unique relationship and I feel increasingly happy about our funny little partnership. One of my stated goals this summer was to improve my listening skills. I knew I'd have many more opportunities to work on my listening while in country: overhearing conversations, catching the TV news, listening to the radio while in taxis, etc. I told Simon about this goal, and after a couple of weeks we started experimenting with a new activity. He would record himself telling a story or reading a book on an old-school tape recorder, and hand it off to me. I could then listen and re-listen as necessary, and would write down what I heard (translating into English). Then we would go over the tapes together. I really liked this activity because it felt like I was really building my listening skills, not just straining to catch phrases. I'm not sure how to recreate this over Skype, but I'm hoping we can come up with something. The past week was a classic get-back-into-the-groove kind of week for me. I'm still struggling to figure out the nuances of my schedule and where all of my work fits in. It was also my birthday which meant a bit more celebrating than usual 😀 and a little less work 😥😬🙊. I did not start counting points for Omuzannyo but will begin the coming week, which also almost definitely contributed to my lack of Luganda work. 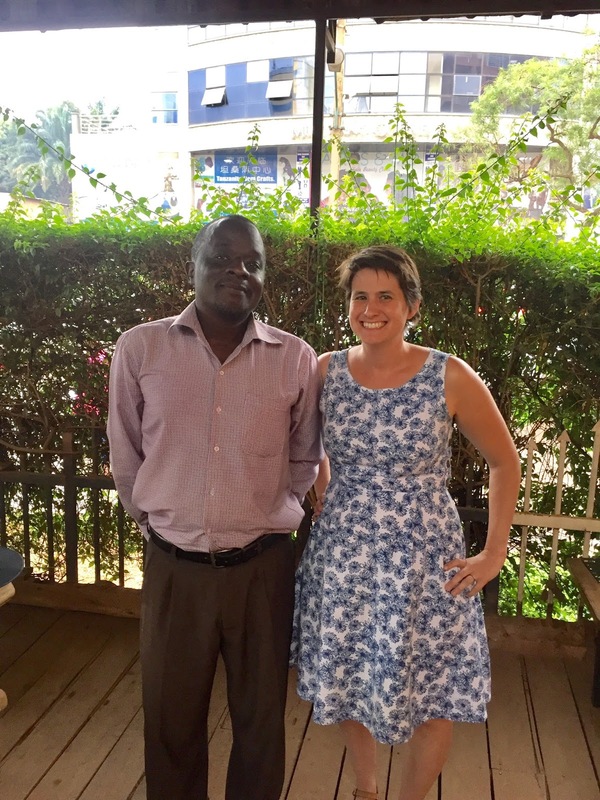 However, I have been texting regularly with friends in Kampala in Luganda and listening to a lot of Luganda radio. I also glanced over a couple of newspaper articles. But the hard work starts tomorrow! And start it will... my first mentorship session of the semester will be bright and early at 8 AM on Monday. Simon has already sent me homework and looked over my ISP to get a sense of what I'm up to, so he's all ready to go. It's up to me now to make it all happen. I'm really looking forward to really properly digging in on my Luganda this week, and look forward to having more to share!